Chantal Hofstee is a clinical psychologist, executive coach and mindfulness expert, who has worked in both the private and corporate sectors. She uses the techniques of Cognitive Behavioural Therapy and mindfulness to provide her clients with easy-to-use skills that can be quickly and effectively implemented to change their lives. Through her company, Renew Your Mind, she provides mindfulness courses and business training to enable people to take control of stress, improve focus, solve problems, achieve their goals, boost their productivity and become more creative. 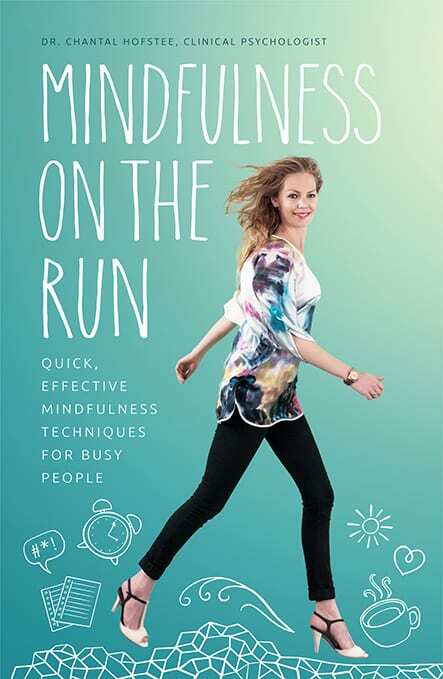 Her first book was the very successful Mindfulness on the Run (also with Exisle Publishing). We all possess mental resources but only a few of us use them to their full potential. We want to see continuous growth and improvement in our lives but we don’t really understand the brain- and psychological mechanisms that drive this growth and improvement. So we apply the ‘working hard’ approach rather than the ‘working smart’ approach, and end up getting stuck in bad habits that drain our energy, blur our minds and disrupt our focus. We might achieve success in one area but we simultaneously crash and burn in others. Yet there are people who seem to be able to do it all and do it all well without burning out. They are the ones who understand how their brain works and how they can use it to it’s full potential every single day. Their progress and success is sustainable and consistent because it gives energy rather than drains energy. 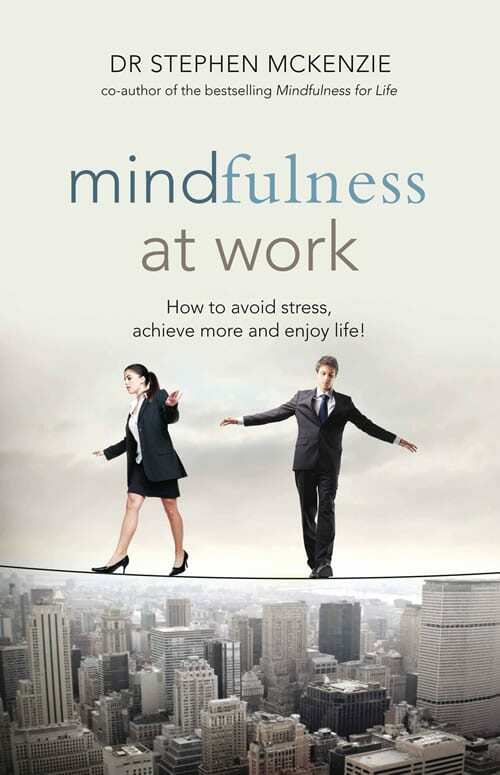 Mindfulness expert Chantal Hofstee shows you how to become one of those people! 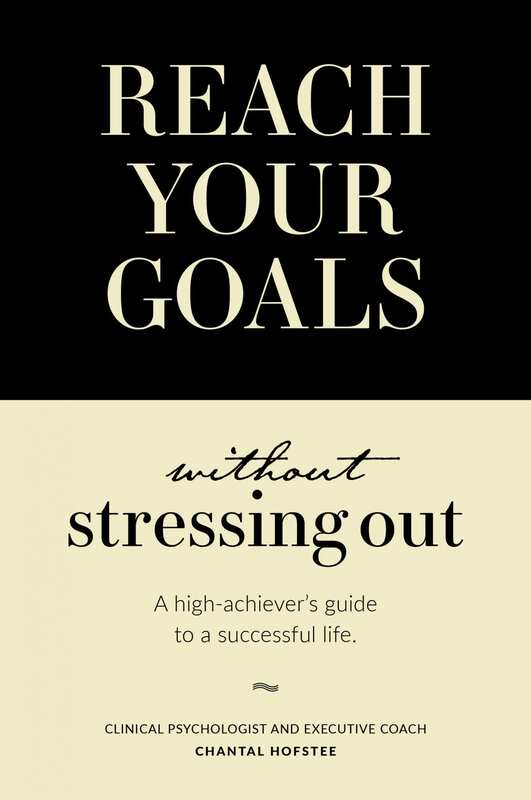 Packed full of insights into the brain, inspiration and practical techniques, Reach Your Goals Without Stressing Out takes the reader on a guided journey of self-discovery, leading to new personal insights and practical strategies for sustainable, fulfilling success. “Clinical psychologist Chantal Hofstee sits down with Wellness Daily to discuss working with convicted criminals in the Netherlands, coaching corporate leaders across the globe and why we need to avoid overstimulating our brains.” Click here to view. “We all possess mental resources, but only a few use them to their full potential. Those are the ones who understand how their brain works and how they can use it every single day. Here, mindfulness expert Chantal Hofstee shows you how to become one of these people.” Click here to view. “Feeling stuck in a rut? Want to make changes but don’t know where to start? 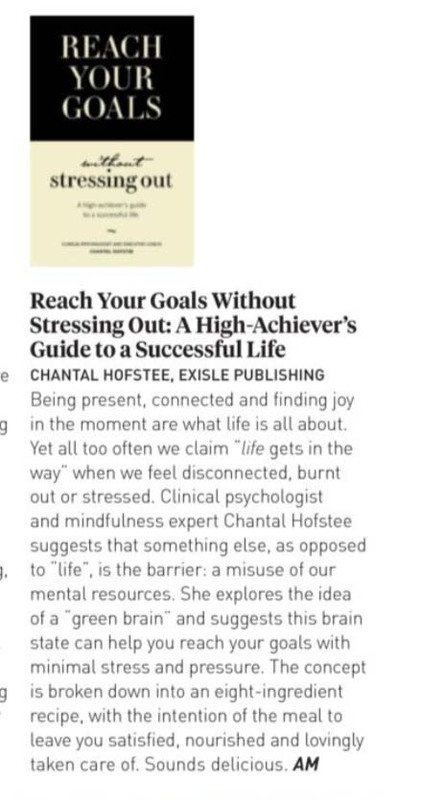 We ask clinical psychologist and author of a new book Reach Your Goals, Chantal Hofstee, for practical advice on how to realise your dreams today!” Click here to view. “…explores the idea of a ‘green brain’ and suggests that this brain state can help reach your goals with minimal stress and pressure.” Click here to view.